Saturday night, ‘Empire’ actor Jussie Smollett made his first public appearance since the fake MAGA assault. Smollett’s story is extraordinary and is something you would see in a fictional movie. Jussie Smollett alleges he stepped out to get a Subway sandwich at 2 AM in Chicago and was on the phone with his manager when he came under attack by two racist, white Trump supporters who poured bleach on him and put a noose around his neck. Chicago Police said surveillance footage of Mr. Smollett shows he was still holding his Subway sandwich when he returned to his residence early Tuesday morning after the alleged attack. Smollett must be some sort of super hero as he was able to fight off two angry racist men brandishing weapons whilst he was holding onto his phone and Subway sandwich. After reviewing hundreds of hours of surveillance footage near the ‘scene of the crime,’ Chicago police have yet to find any video of the assault. These two MAGA perps have pulled off a Delta Force-like clandestine attack of Smollett where they have managed to assault him in the most surveilled city in the world, yet no one has seen them and they have not left any trace behind of their existence. But Smollett ‘fought the f*ck back’….sure. "Above all, I fought the f*ck back." Jussie Smollett addressed the hate crime committed against him & dispelled rumors about the incident in his first appearance since the attack. At the Troubadour last night. 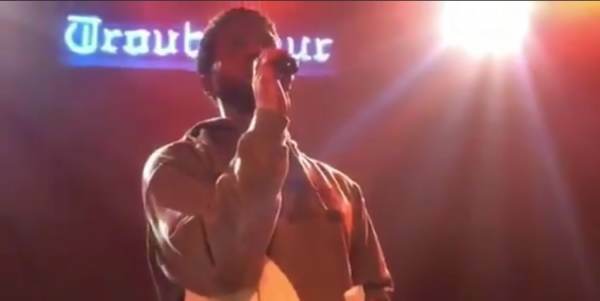 The post HATE HOAX: Jussie Smollett Claims, ‘I Fought the F*ck Back’ in First Public Appearance Since Alleged MAGA Attack (VIDEO) appeared first on The Gateway Pundit.